First published in 1975, Animal Liberation created a sensation upon its release, shaking the world's philosophical and animal-protection circles to their cores. 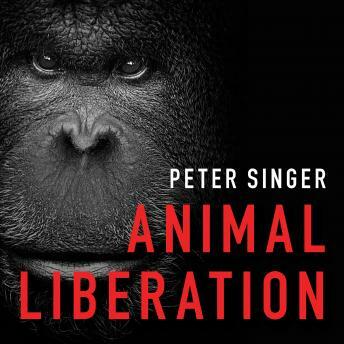 Now, forty years later, Peter Singer's landmark work still looms large as a foundational and canonical text of animal advocacy. Arguing that all beings capable of suffering deserve equal consideration, Singer contends that the only justifiable treatment of animals is that which maximizes good and minimizes suffering. In examining the cruelty of factory farming and the exploitation, both commercial and scientific, of laboratory animals, he identifies a kind of 'ethical blindness' and calls for political action. A moral wake-up call from one of the most influential and controversial ethicists of our time, Animal Liberation tackles an emotionally charged social issue with a compelling rational argument in a rousing and riveting read.